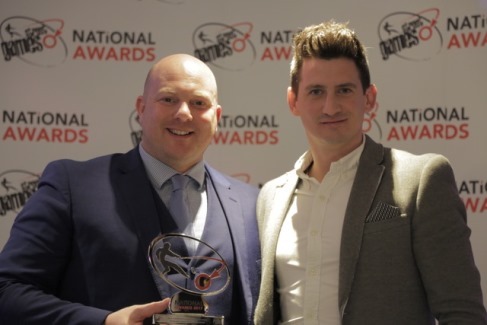 Robert Gordon University’s (RGU) Streetsport initiative has scooped two prizes at the prestigious StreetGames Awards. StreetSport, which is based out of RGU Sport, scooped the ‘Sport for Good’ and ‘Park Lives’ Awards at the ceremony last month. The Sport for Good award recognises organisations that work within disadvantaged communities with high levels of school dropout and unemployment rates. Streetsport’s innovative programming, which is geared around ‘positive destinations’ and funded by various partners and sponsors across the city, aims to improve participants’ confidence and long-term career aspirations. 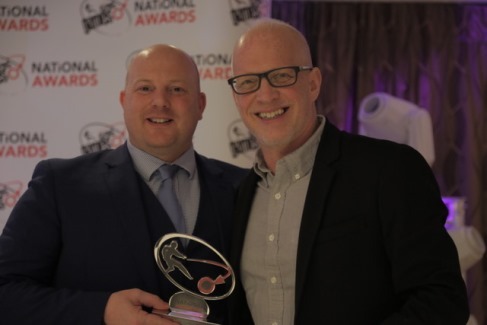 This award places Streetsport as the best programme in the UK for using sport and creative activities (including street art and street games) as a vehicle for positive change for young people across Aberdeen. The Park Lives programme works in partnership with Gray’s School of Art, Police Scotland and Scottish Fire and Rescue Service to deliver a range of diversionary activities which have a positive impact on young people living in areas of multiple deprivation within Aberdeen. This inclusive initiative has also helped reduce levels of anti-social behaviour and enabled groups of young people from different cultures and backgrounds to meet and share experiences. Mark Williams, Streetsport Chief Operating Officer, said “We focus on providing young people in Aberdeen with new opportunities and I passionately believe that sport and other creative activities are not only crucial to improving health and fitness, but also act as a catalyst for change. “Our activities can and have made a huge difference to people’s lives, especially for many young people from within disadvantaged communities. We aim to remove barriers to participation by ensuring all activities are local and free of charge to access and we aim to help participants overcome many personal barriers including issues surrounding low levels of self-esteem and aspiration. Street Games is a national charity that secured funding from the Sport England Lottery and officially launched in January 2007. It has since expanded into Scotland and quickly formed a strategic alliance with Streetsport in order to partner in the delivery of ‘door step’ activities. Both organisations have similar goals and ambitions and aim to make sport more widely available for disadvantaged young people and to maximize its power to make positive change for young lives. Established in 2006, the award winning Streetsport team are out and about in all weathers five nights a week, 50 weeks of the year. They achieved more than 16,000 active participations in 2016 and launched Scotland’s first Cruyff Court in Aberdeen city centre in partnership with Aberdeen City Council and other stakeholders which will enable the project to expand its range of positive destination and other creative activities. The Streetsport partnership network involves a number of other local agencies in its annual calendar of activities across the north-east and regularly collaborates with the Scottish Fire and Rescue Service, Aberdeen Community Safety Partnership and Police Scotland.